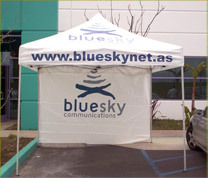 Gamma’s Event Tents offer high visibility while providing shelter for special events, trade show and outdoor sales. 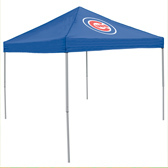 Removable side panels and graphic panels provide enhanced exposure for your logo or message. 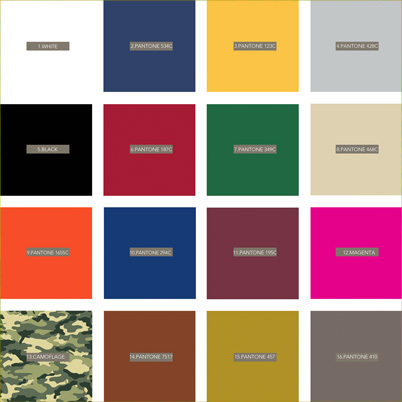 Made from 500 Denier Oxford polyester fabric, this lightweight, yet durable fabric is water resistant, fire retardant and UV protected. 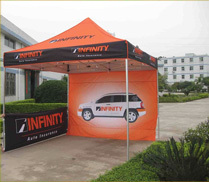 Trade show tents are printed through the dye sublimation process for maximum color fidelity. This lightweight, powder coated steel frame & legs prevent rusting, chiping and peeling. 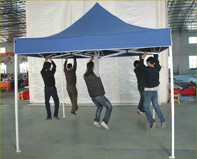 Five height settings are available with a simple pull-pin adjustment. 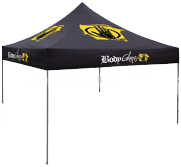 The pop up tents Dynidiom® Joint fittings offer strength and stability, eliminating metal-on-metal contact. • Water Resistant • CPAI-84 fire resistance • Mildew resistance • Stake kit available. Without nut and bolt fittings, setup takes minutes – without tools. 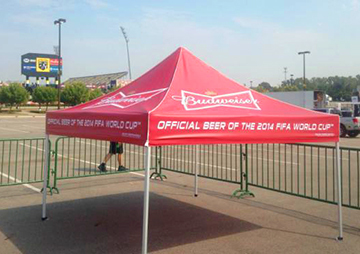 The support structure opens when the popup tent is unpacked, and the pre-assembled roof is automatically stretched. The poles are then adjusted to the desired height.